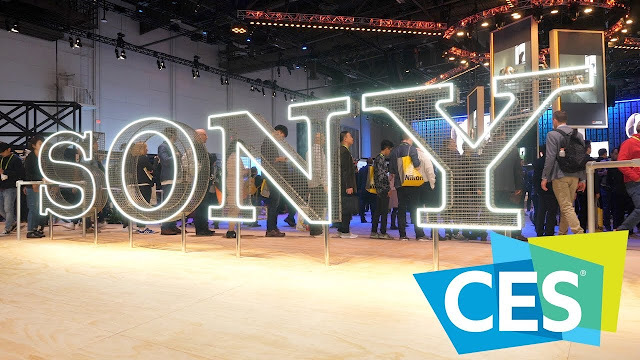 Video & Audio Center at 2019 CES: Sony Electronics Adds Super-large Sized 8K TVs and OLED 4K TVs to the MASTER Series Lineup! Get ready for Sony's new line-up of OLED and LCD television models for 2019! Sony Electronics Inc. announced the new MASTER Series Z9G 8K LCD and A9G 4K OLED televisions at this year’s just-concluded CES in Las Vegas; and Video & Audio Center and Video & Audio Center was selected by Samsung to be the first to stock and sell these state-of-the-art televisions to the public. 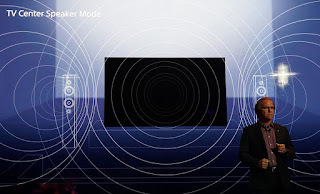 According to Sony the new 2019 MASTER Series TVs represent the pinnacle of picture quality available to home viewers, capable of displaying images that faithfully convey the creators' intent—and we at Video & Audio Center couldn’t possibly agree more. 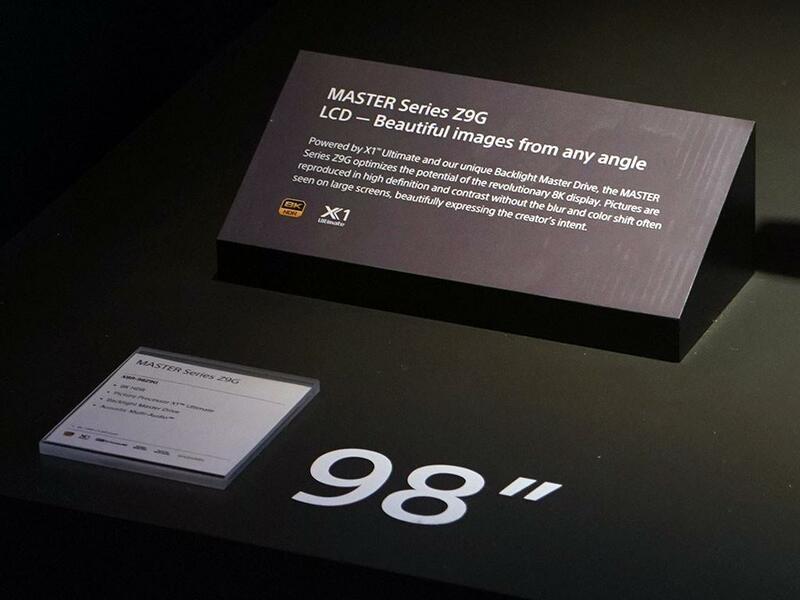 The MASTER Series is the name given to only the very best Sony TVs and provides premium picture quality, color, contrast and clarity approaching that of a professional-grade monitor, and, as the open mouths and nodding heads in front of Sony’s displays at CES would attest—Sony has succeeded in delivering exactly that with this year’s models. Both new Z9G 8K LCD and A9G 4K OLED models feature the latest generation Picture Processor X1™ Ultimate for accurate detail and contrast. Introduced last fall with the inaugural release of the MASTER Series models, this processor plays a vital role in delivering the high-quality picture inherent in the MASTER Series. The Picture Processor X1 Ultimate has a unique algorithm specially developed for 8K that can intelligently detect and analyze each object in the picture, resulting in exceptional detail and contrast for a more realistic picture that represents the creators' intent. Premium quality sound is a key part of the viewing experience as well, and both the A9G and Z9G models have the new Sound-from-Picture Reality feature, which faithfully reproduces the position of the sound on the screen so when actors are speaking, the sound appears to be coming directly from their mouths and not from a speaker off to the bottom. "Continually innovating to exceed our customers' expectations is a core element of Sony's premium strategy," said Mike Fasulo, president and chief operating officer of Sony Electronics North America. 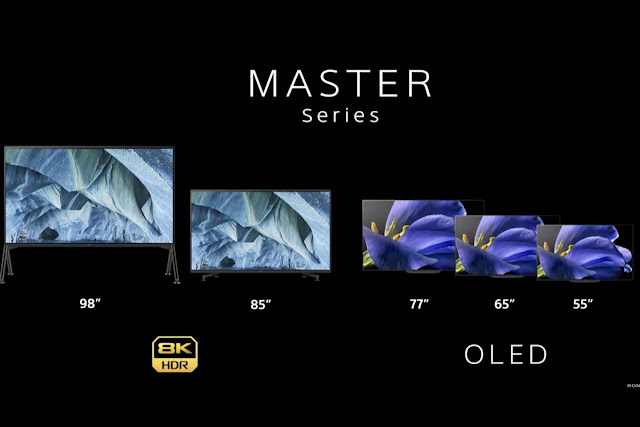 "Our new MASTER Series TVs combine larger screen sizes, 4K and 8K resolution, and unique Sony image-enhancing technologies to create an extraordinary and highly immersive viewing experience." 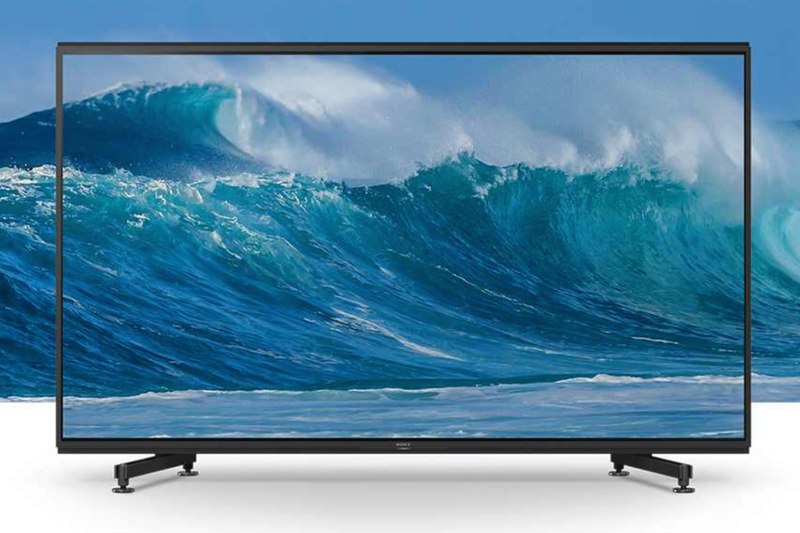 Larger TVs are becoming more popular, and Sony's goal with delivering new Z9G 98" and 85" class TVs— available at Video & Audio Center—is to maximize the super-large screen experience in the living room. In order to deliver premium picture quality in such extra-large screens, Sony is introducing extra resolution with its first consumer 8K TV. With twice the number of horizontal lines and vertical lines, 8K provides four times the pixels of 4K (or 16 times the resolution of HD). 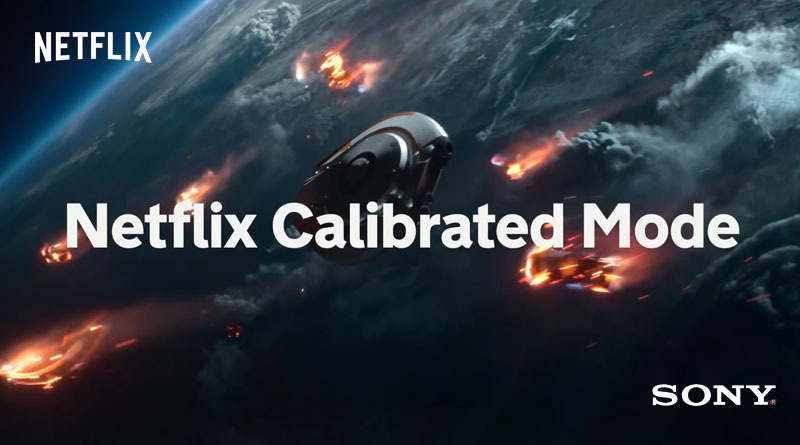 This higher resolution results in a more immersive viewing experience as 8K resolution means the larger-sized TVs look great up close with virtually no pixel differentiation. Video & Audio Center knows that picture quality is not only about resolution. As screen sizes get larger, the processor plays an even more critical role in delivering premium picture quality. Utilizing a proprietary algorithm, Sony's powerful Picture Processor X1 Ultimate has been optimized to handle the 33 million pixels of 8K. The same processor also enables the newly developed 8K X-Reality PRO to upscale any content using a new, dedicated 8K database for reference, resulting in even more precise, detailed upscaling. With a long history and expertise in developing professional cameras and monitors, Sony recognizes that precision in constructing fine signal processing components results in an immediately visible difference to the whole image. In addition, completely new dedicated 8K technologies have been developed for the Z9G series, including a Backlight Master Drive feature with full-array local dimming and 8K X-tended Dynamic Range PRO. 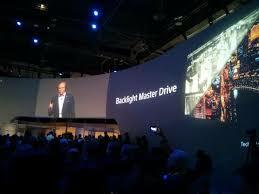 The Backlight Master Drive on the Z9G has ultra-dense LED modules that are independently controlled, delivering unprecedented contrast with punchy brightness and pitch blacks. To optimize this backlight system, 8K X-tended Dynamic Range PRO uses the saved energy to intelligently boost the brightness in the areas where it needs to be boosted. Accurate sound position is another key factor as TVs get larger. Taking the experience gained from its OLED Acoustic Surface Audio, Sony has expanded the concept to the Z9G LCD TV with Acoustic Multi-Audio. To deliver the Sound-from-Picture Reality experience, the new Acoustic Multi-Audio on the Z9G utilizes four front-facing speakers—two on the bottom and two on the top—to deliver a faithful sound position. Viewers will hear the sound coming from the screen, and not where the speaker is located. In addition, the Z9G has a TV Center Speaker Mode for people who have a home theater setup, whereby the TV becomes the center speaker. 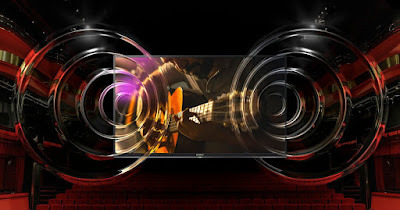 The sound experience is also enhanced by the TV's compatibility with Dolby Atmos1, which adds a wide, rich sound field. The Z9G also features X-Wide Angle to ensure the picture retains its quality regardless of the viewing angle. This feature enables a wider viewing angle that reduces color shifts when viewing the screen off-axis, so colors stay true no matter the viewer's position, while X-Motion Clarity minimizes motion blur without sacrificing screen brightness. 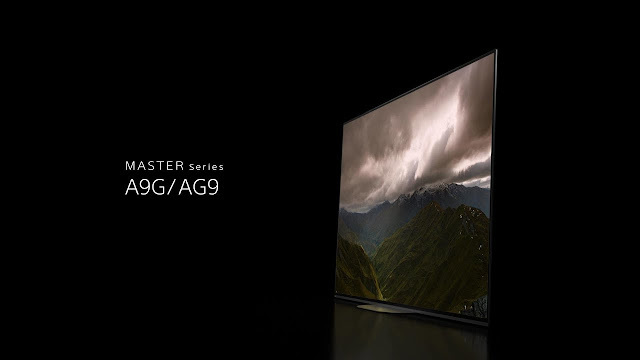 The A9G is Sony's new flagship 4K OLED TV available at Video & Audio Center in 77", 65" and 55" classes 76.7", 64.5", and 54.6" diagonal), all in a very slim form factor. Images come to life with the super-wide viewing angle, precise contrast and absolute blacks of OLED technology. Over 8 million self-illuminating pixels are precisely and individually controlled by Sony's Picture Processor X1™ Ultimate. In addition to the processor, the A9G has Pixel Contrast Booster for more color and contrast in bright areas. As a result, the A9G provides premium picture quality approaching that of a professional-grade monitor, showing images and colors as they truly are, and as the creator intended. The processor improves SD and HD content to near-4K HDR quality and shows 4K content with stunning clarity. Acoustic Surface Audio+ provides a totally immersive sound experience with the sound coming from the entire screen, enveloping viewers in exciting new entertainment experiences and providing pictures and sound in perfect harmony. In addition, a TV Center Speaker Mode provides choice to use the TV as the center speaker. The A9G is very slim in depth; when wall hung using the SU-WL855 wall mount system, it will fit close to the wall at around half the distance of Sony's previous model2. This OLED TV is more than just beautiful. It is designed so that it appears to be floating on the wall, leaving only the brilliance of its picture. Furthermore, to provide the best viewing position and flexible usage, SU-WL855 has a swivel functionality as preferred. For the ultimate in picture quality, the A9G pairs the brilliance of 4K clarity with the brightness, color and detail of High Dynamic Range (HDR). Previously hidden areas of dark shadow and sunlight are now full of clarity and detail. As with the Z9G, the A9G HDR TVs feature Netflix Calibrated Mode, IMAX Enhanced and Dolby Vision/Dolby Atmos to deliver the viewing experience just as the creator intended. On select Sony BRAVIA TVs, viewers can choose one IMAX Enhanced movie from a blockbuster selection, which includes Sony Pictures Entertainment's hit movie "Venom," using the IMAX Enhanced service 'Privilege 4K' available this spring. Pricing and Availability / Need to be the First to Own the Latest? Pricing and retail availability will be announced in spring 2019, and all of you “techies” can rest-assured, Video & Audio Center, will be among the very first to stock and sell these new 2019 models to the public. If you’re interested in keeping informed, just email me at ross@videoandaudiocenter.com and I will make sure to give you advance notice on pricing and availability dates. 1 Software update is necessary. Available in 2019. 2 Compared to A9F series using a compatible wall mount system. 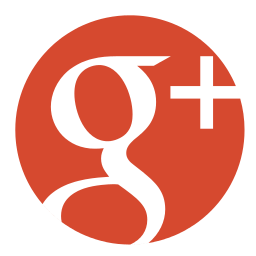 3 Third-party network services, content, and software may be subject to separate terms and conditions and changed, interrupted or discontinued at any time and may require fees, registration and credit card information.